Media advocacy groups expressed concern after journalists were told not to ask questions about West Papua during the Indonesian Foreign Minister Retno Marsudi’s press conference in Papua New Guinea. Reports emerged that not only questions touching upon these issues were forbidden, but also that a Solomon Islands media’s attendance was cancelled. Reports journalists were instructed not to ask questions about West Papua during a three-nation tour by the Indonesian foreign minister have been met with disappointment by media advocacy groups, who say Pacific nations should not assist Indonesian officials in avoiding accountability. 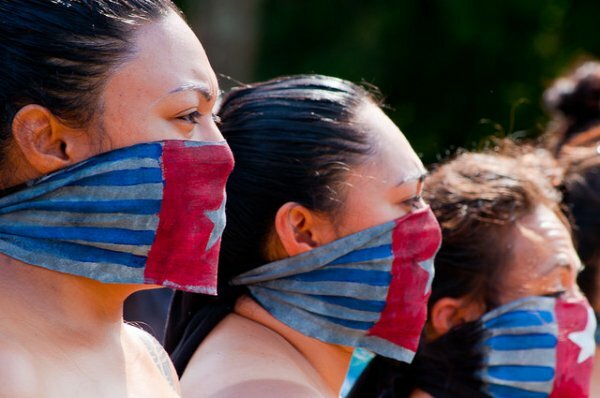 There have been numerous reports over the years of human rights abuses and violent crackdowns by Indonesian authorities against a long running pro-independence movement in West Papua. The Indonesian foreign minister, Retno Marsudi, recently visited Papua New Guinea, Solomon Islands and Fiji, but reports have emerged that journalists attending a Port Moresby press conference by Marsudi and her PNG counterpart, Rimbink Pato, were told not to raise the issue of West Papua, and that a Solomon Islands media opportunity was cancelled. Alexander Rheeney, president of the Media Council of PNG, told Guardian Australia he raised the issue with the Department of Foreign Affairs after local journalists told him about the directive given in Port Moresby. “The department is yet to respond to me and take up the council’s offer to discuss a way forward as the gag on the media is unfortunate and should not have happened,” said Rheeney, who is also editor-in-chief of the Post Courier. Following the Port Moresby event Marsudi and Pato said in a joint statement the bilateral relationship was strong enough to discuss sensitive issues, and they would step up communications around the Melanesian Spearhead Group – which West Papuan independence groups wish to join. West Papua was not specifically mentioned, however on Sunday the PNG prime minister, Peter O’Neill, said Pato had raised the issue of West Papua with Marsudi. In response to questions on the reported media ban, a spokesman for O’Neill told Guardian Australia his understanding was the two ministers were to make statements only, and then provide door-stops or interviews to their own media contingents. “This often happens following bilaterals, sometimes due to language preferences or protocols such as being able to cover broader international issues beyond the content of the bilateral,” he said in a statement. In the Solomon Islands an invitation for media to attend a session between the Solomon Islands foreign minister and Marsudi was withdrawn at the last minute, the editor of the Solomon Star, Ofani Eremae, told Radio Australia. “Just a few minutes before the actual ceremony was about to start we were told the media was being uninvited to go to that,” Eremae said. A spokesman for regional media advocacy group, Pacific Freedom Forum, Titi Gabi, said the reported ban was “disappointing” and an example of Indonesia avoiding accountability. “This ban does nothing for Indonesian credibility within the international community, or their hosts,” Gabi said in a statement on Wednesday. In a significant move for the PNG government, O’Neill last month said publicly his country should speak up more for West Papua. In a speech to the National Leaders’ Summit in Port Moresby O’Neill said PNG had played a leading role in strengthening democracy in other Pacific nations, but “sometimes we forgot our family, our brothers and sisters, especially those in West Papua”. “I think as a country the time has come for us to speak about oppression our people. Pictures of brutality of our people appear daily on social media and yet we take no notice,” he said. “We have the moral obligation to speak for those who are not allowed to talk. We must be the eyes for those who are blindfolded. In a later statement O’Neill clarified that his concerns relate to human rights, not sovereignty. Indonesian media has also reported support within Fiji and the Solomon Islands for the application.